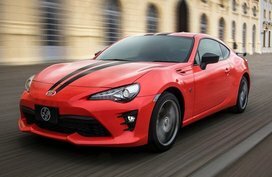 In order to help car buyers understand monthly fluctuations in car prices in the Philippines, Philkotse.com provides updated Toyota Philippines price list installment as of April 2019 as follows. 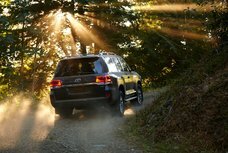 With thousands of Toyota for sale at the cheapest prices updated daily by certified owners and dealers on Philkotse.com, your next ride may be just a few clicks away. Check out the latest Toyota Philippines price list this April 2019, including updated prices for Toyota's best-selling models such as the Toyota Rush, Toyota Wigo, Toyota Fortuner, Toyota Innova, Toyota Vios, Toyota Hilux, Toyota Hiace and Toyota Altis. 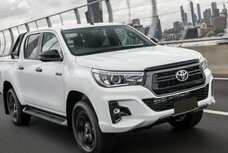 Note that the following Toyota price list and promos are updated regularly on Philkotse.com, so please bookmark this page to catch up with the latest automotive deals. The Toyota Rush is an entry-level MPV from Toyota which is based on the celebrated Toyota Fortuner. Launched in the Philippines in May 2019, the Rush is considered as one of the most notable additions in the local automotive market with a stylish look, functional cabin, impressive performance and a very competitive price tag to boot. Currently, the new Rush is on sale in 3 trims: 1.5 E AT, 1.5 E MT with 5 seats each and the top-of-the-line 1.5G AT with 7 seats. The pricing for the top trim is ₱1,070,000. All changes in Toyota Rush price are constantly updated on Philkotse. Presently, this MPV is going up against the Mitsubishi Expander, Honda BR-V and even its siblings Innova and Avanza. When it comes to mini car segment, no rivals can beat the dominant position of the Toyota Wigo in our country. This very affordable Toyota Wigo was even awarded as the Best Micro Car for the year 2014 – 2015 and continuously ranked in the top 5 best-selling vehicles in the Philippines for years. In 2017, TMP revealed the facelift version of the tiny hatchback Toyota Wigo 2019 and honestly speaking, the refreshed Wigo looks pretty nice inside out. Although the exterior changes are minor, they still bring a sharper and more athletic look to the car. On the inside, it is interesting to notice that despite of its small size, the Wigo actually offers generous interior space, making it be one of the roomiest city cars here in the country. 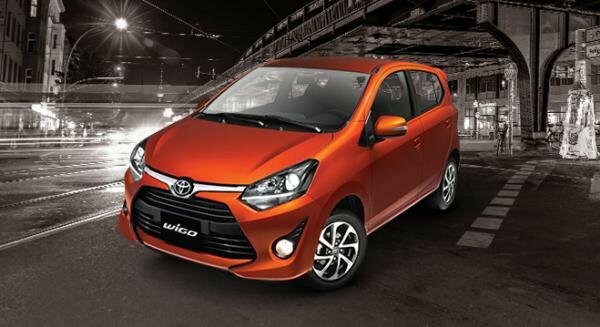 The biggest improvement of the facelift Wigo, however, lies at its new engine, which is a 1.0-liter VVT-i dishing out 65hp and 89Nm, mated to a 4-speed auto. Even with the new excise taxes included, the Toyota Wigo is still one of the best affordable vehicles in the Philippines with new price range from P542,000 to P681,000. It is not over exaggerated to state that the SUV segment in the Philippines has been ruled by the Toyota Fortuner for years. Since the first model made its way on the open road over a decade ago, the Fortuner has still remained to be one of the most popular mid-size SUVs in our country. There are just so many things that we love about this vehicle: a timeless good look, superb ride quality, impressive off-road capability, high fuel efficiency and low maintenance cost to name but a few. 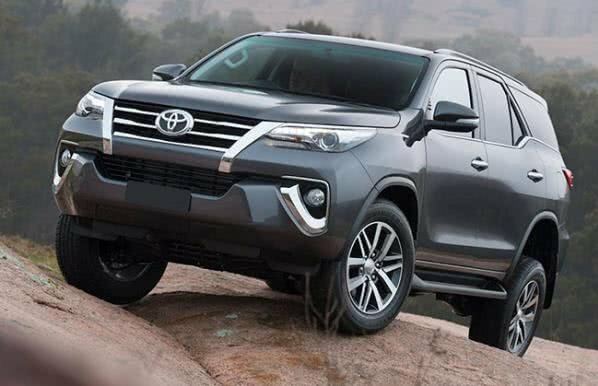 Recently, the Toyota Fortuner has received some technology improvement, which has led to an increase in its price tag for all variants. 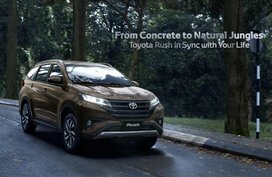 Even so, we still believe that with an increased price, the Fortuner will still be one of the most-wanted SUVs that almost every Pinoy car enthusiast desires. The 2019 price range for a brand-new Fortuner is now from P1,599,000 to P2,265,000. 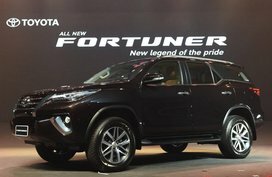 More options (including pre-owned models as well) can be found in this list of Toyota Fortuner for sale. If the hatchback and SUV segment in the Philippines are ruled by the Wigo and the Fortuner respectively, the MPV segment is led by another Toyota car, namely Innova. Ever since the Toyota Innova first arrived in our shores in 2004, it has successfully kept its crown as one of the most-preferred MPVs as well as best-selling models in the Philippine auto market. In 2016, the all-new Innova was introduced to Filipino car enthusiasts, featuring a redesigned exterior that visibly set it apart from earlier model. Its interior was also renovated with comfort for the driver and passengers. Continuous improvement and refreshment have helped this 7-seater further enhance its leading position in its segment. With the new excise taxes, price of the top-of-the-line Innova has gone up considerably to P1,684,000 at new dealerships. Also, you can refer to Toyota Innova for sale section on Philkotse for more choices with more affordable prices. Although the current generation Toyota Vios has been on the market for over 4 years and is now due for update, it is still a fierce rival to other vehicles in its segment. The Toyota Vios was introduced to Philippine market in 2002 to replace the Toyota Tercel and immediately attracted great interest from Filipino car lovers. Years after, the model has still topped the best-selling cars in the Philippines in both the small-car segment and the passenger-car market. Not only having a firm stand in the domestic auto industry, the Vios has also occupied the Philippine roads as service vehicles and even taxi fleets. Despite its same old appearance, the sedan still gets buyers excited thanks to its strong engine and, most importantly, the Vios affordable price tag. Nowadays, the base model is now priced at P659,000, while the top-spec Vios can be had at P1,110,000. Simultaneously, Toyota manufacturer also hits the market with new variants: 1.3E Prime and 1.5G Prime, which give customers more choices when buying new car. Should you want to go for a Vios, bookmark this site for the latest changes in Toyota Vios price in the Philippines & get the best deals. Update: The new Vios has officially released to the Philippines. Look through our Toyota Vios 2019 Philippines review to have a better comparison of the latest Vios and its predecessor. With an aggressive appearance, comfortable cabin and a powerful engine, it is not difficult to understand why the Toyota Hilux has been one of the most popular pick-up trucks not only across the globe but also here in the Philippine market. The continuous improvement in exterior, interior and under the hood has further strengthened its position in its segment. In terms of exterior, the 8th-gen Hilux looks more luxury thanks to the sleeker front fascia and the chrome accents on the grille. Interior-wise, spacious head-, leg- and knee room allows both driver and passengers to enjoy comfortable experience even during long-hour trip. 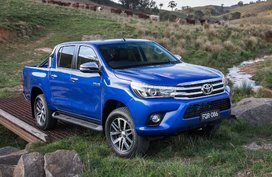 The PH-spec Hilux is available with 2 engine options, 2.4L and 2.8L 4-cylinder VN Turbo Intercooler diesel engine, mated to either a 6-speed sequential automatic or a 6-speed manual transmission. Worth of note, all Hilux models has become more affordable as they are all exempted from excise taxes. Presently, the Hilux 2019 is priced from P924,000 to P1,621,000. You can also find more great deals on Toyota Hilux available for sale on our page. Not only holding the leading position in hatchback, SUV and pickup segment, the Japanese carmaker even demonstrates its significant role in the Philippine automobile industry with its hot-selling Toyota Hiace. 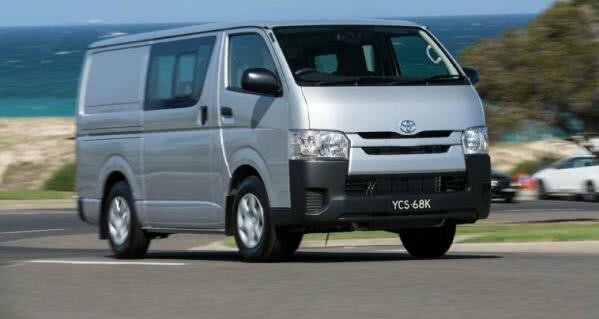 It can be said that the Toyota Hiace, which was first introduced globally in 1967, is well-deserved to be ranked among the most luxurious vans in its segment. A nice exterior design highlighted with chrome accents makes it applicable as business vehicle, office ride, a family van, and more. Although identified itself as a transport car, the Hiace actually brings comfortable and smooth ride experience to both drivers and passengers. Under the hood is a 3.0L engine which is capable of dishing out 136 hp and 300 Nm of torque, mated to either a 5-speed manual or 4-speed automatic transmission. The Super Grandia variant is available with a 2.5L engine, producing 102 hp and 260 Nm of torque, paired with a 4-speed automatic. So, how much is the Hiace? The new excise taxes have led to an increase for the HiAce. While the entry-level trims are offered at P1,442,000, the high-end models come at P2,686,000. It has been over 50 years since the first Toyota Corolla made its global debut. Spanning through 11 generations, the Corolla has been one of the longest surviving nameplates in the automotive world. The current-gen model in our market, Toyota Corolla Altis, features a modern appearance as well as more appealing interior layout. Under the bonnet is either a 120 hp 1.6L engine or a 2.0L engine with 143 hp, mated to a 5-speed manual or CVT transmission. 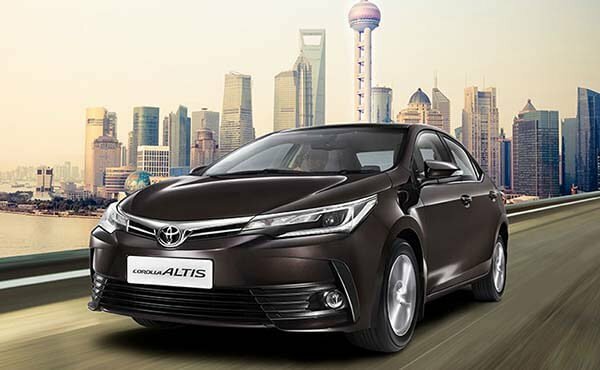 Available for sale with seven variants, the Toyota Corolla Altis is a popular choice for Filipino car buyers who are looking for affordable yet still reliable vehicles. Not an exception of the price increase due to new excise taxes, all Toyota Altis variants are now priced higher. In detail, the base model increases to P961,000, while the top-of-the-range Altis stands at P1,492,000. If you want to save some money, check out our list of new and used Toyota Corolla Altis for sale. Toyota Motor Corporation (TMC) was founded by Kiichiro Toyoda in 1937. Ever since its establishment, TMC has always been known as the leading car maker of the world. As of 2012, TMC was reported to reach its 200 million vehicle milestone. Four years later, the Japanese car brand was ranked as the world’s fifth-largest company by revenue and also the world's biggest automobile manufacturer. TMC is headquartered in Toyota City, Aichi, Japan. 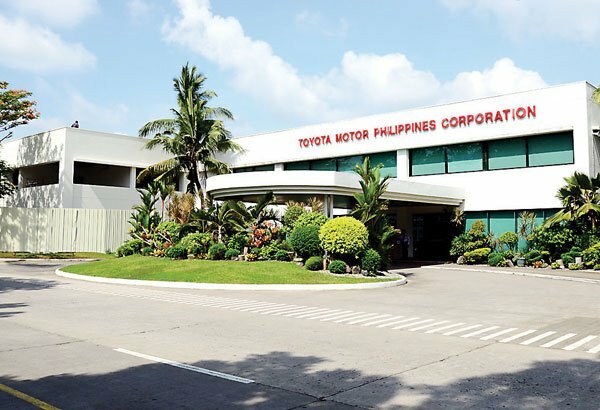 Not only ranking top in the global auto market, Toyota also leads the Philippine automobile industry with a network of more than 40 Toyota dealerships nationwide, occupying the highest position in the vehicle sales charts multiple times in a row. It is hard not to find a Toyota car around on the Philippine streets. This supreme position of Toyota Motor Philippines Corporation (TMP) is thanks to its flagship models like Rush, Vios, Wigo, Corolla Altis, Camry, Fortuner, Innova, Hilux, Rav4, FJ Cruiser and so on. 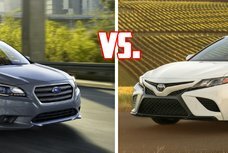 In-depth car reviews of these models and other Toyota cars can be found in our Toyota review section.